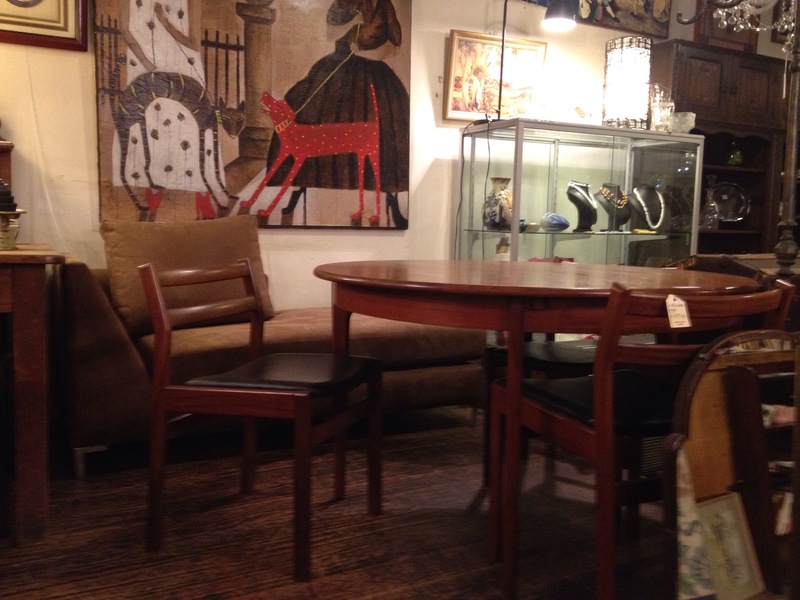 1960’s teak extension table $590 and four teak and black vinyl dining chairs by Merdrew. $440. Painting from Paris $390. ← City side Window. 7th March.